﻿ Wholesale Custom Mugs & Bottles at Factory Direct Price, Saving 50% ! Want to check how your logo and the picked color look like on our mugs? Click the below button, we will do this free for you. Well-designed drinkware created with the best revolutionist idea is perfect for your promotional brand. Are you looking for suitable drinkware imprinted in quality design? PromoWare, an industry leader from China can give you premium quality promotional drinkware such as coffee mug, travel mug, sports bottle and water bottle. As you go through several categories of our personalized drinkware, we are a wholesale supplier, and we sell in bulk directly from our factory. We are the OEM and the ODM dealer of your promotional drinkware. We sell quality promotional drinkware even at a cheaper rate (40-60% cheaper) and ensure you get a good value for money. We are the manufacturer, offering factory direct price, so you are ensured to get the best price from us compared to some other promotional drinkware vendors. Currently, we have more than 800 plastic and metal (aluminium and stainless steel) drinkware items, and the number is growing, that means we can full fill your special events. 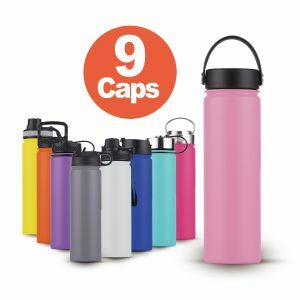 Several ways are available to personalize your drinkware with a unique logo and beautiful design engraved on your promotional item. You can choose a color combo that suits your custom branded drinkware and a private label that makes it brand fit. Choosing high-quality promotional drinkware from a trusted manufacturer like PromoWare makes your giveaway, trade fair, and other events most definitely effective. Custom decorated drinkware is perfect for your promotional items, and they can be used as corporate gifts and business gifts. You can use them as souvenirs in a corporate setting most especially for your employees and clients. They can always enjoy their drinks with your thought in their minds, and they can’t heart you less.